New York City favorites Ann Hampton Callaway and Liz Callaway, under the musical direction of Alex Rybeck, brought their unique harmonies to Music Center at Strathmore in a full length concert that featured songs from their latest cd Boom! Live at Birdland, (which is, in and of itself, the title of a show they have been touring throughout the country) as well as Broadway standards. In the end, it offered something for everybody – the theatre geeks who know the Callaway sisters from their time on Broadway, and those wanting to reminisce about their childhood and hear songs from the 1960s and 1970s. Liz Callaway and Ann Hampton Callaway. The Boom! portion of the evening featured songs that meant something special to either Ann or Liz (or both of them) while growing up. Each sister was provided a chance to shine vocally as an individual, but the format also allowed each of them to meld her voice with the other and create a unique sound. 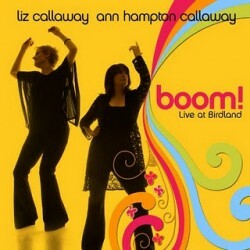 Liz Callaway’s voice is classic Broadway while Ann Hampton’s voice has a sultry, singer-songwriter, jazzy quality. Though vastly different, the voices came together with great ease. Although the duets were a highlight for us, this portion of the concert also allowed the audience to see the sisters in their own element. Ann’s rendition of the Joni Mitchell classic “A Case of You” was by far one of the best performances in the Boom! portion of the concert, if not the entire show. She accompanied herself on the piano and showed the audience what a strong musician she is, and perhaps even more impressive, demonstrated her enviable ability to interpret songs with great depth, substance, and connection. Liz Callaway’s pairing of Petula Clark’s “I Know a Place” and “Downtown” (which included an audience participation element) was quite fun and accessible – and demonstrated once again why she is one of today’s best cabaret singers. Through these song selections, we got to know each of the sisters and the kinds of songs they relate to. The second half of the program featured some famous and not-so-famous Broadway songs. Liz Callaway’s signature “Meadowlark” from Stephen Schwartz’s The Baker’s Wife and Ann Hampton Callaway’s “Don’t Rain on My Parade” from Jule Styne and Bob Merrill’s Funny Girl were two of the highlights. Liz’s emotional rendition of “Meadowlark” never gets old no matter how many times we hear it. It was also nice to see Ann get a chance to show off her impressive Broadway belt – a rare treat indeed. The second half of the program also featured a massive medley of songs that well-intentioned people thought the two sisters should sing in their previous act Sibling Revelry. 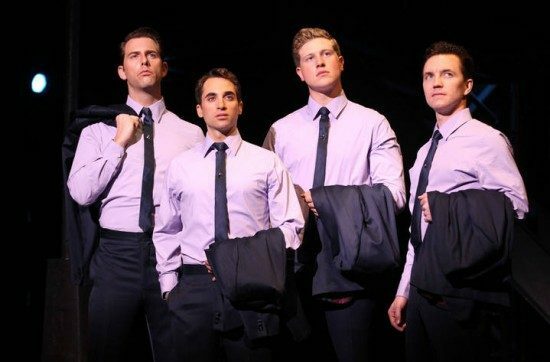 It featured several selections from traditional Broadway shows, including Mame (“Bosom Buddies”), West Side Story (“A Boy Like That”) and Gypsy (“If Mamma Was Married”) as well as selections from more contemporary shows like Miss Saigon (“I Still Believe”) and Wicked (“What Is This Feeling”). It was an innovative melding of the old and new. The song choices explored the unique bonds that two sisters can share with one another. Liz and Ann were backed by the musical talents of Alex Rybeck (Piano/Arranger/ Backup Vocals), Jered Egan (Upright and Electric Bass/Backup Vocals) and Ron Tierno (Drums). Overall, it featured stunning vocals, tight arrangements, and interesting concepts not often seen on the cabaret scene. After all, at what other show can theatre geeks and fans of American pop music of decades past find something to love? Running time: Approximately 2 hours, including one 20 minute intermission. 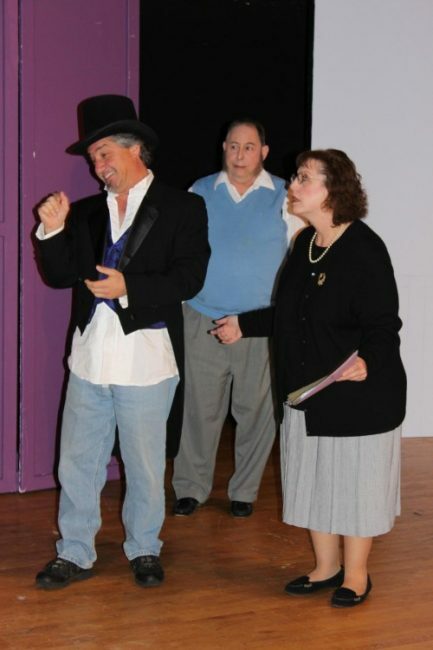 This performance was a one night-only event on November 13, 2011. For tickets to other offerings at the Music Center at Strathmore – 5301 Tuckerman Lane, in North Bethesda, MD, call (301) 581-5100 or visit their website.